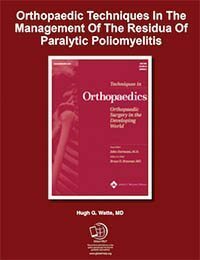 In the developed world paralytic poliomyelitis is almost extinct. This is clearly not the case elsewhere. Despite the availability of prophylactic vaccination, 960 cases were reported to World Health Organization (WHO) in 2004 (as of January 5, 2005 and his does not include the cases in the Western Hemisphere -- see below). How many additional cases go unreported are not known, although in it has been estimated that only 1 in 10 child with the disease is reported. While the incidence of poliomyelitis in the world is markedly decreased, it has not been eliminated. There has been considerable anticipation that the virus could be eliminated worldwide. The initial target date of the WHO was 2000. Recently, this has been extended to 2005. Now that 2005 has arrived, this date appears to be wishful thinking. The incidence of new cases in the Western Hemisphere was said to be zero after 1994; however, recent outbreaks in the Dominican Republic and Haiti (2004) have proved this wrong. There is some suggestion that the reappearance in the Western world is because of mutation into the virulent form of the attenuated virus used during vaccination. Those who have been enthusiastic about the possibility of eliminating the virus have used the model of the small pox virus. However, there is reason to doubt that the model is not appropriate given the differences in the virus’s effects. Social factors play an important role in the effort to eliminate the polio virus. Recent outbreaks of the disease in Northern Nigeria resulted from rumors that the immunization would cause sterility among the immunized boys. Children who then developed the disease as a result of nonimmunization have spread the virus back into regions of West Africa where the disease had previously been declared polio free. The social problems of immunization were well illustrated in the article in the New Yorker magazine.